Nestes dias um pouco chuvosos gosto de “passear” pela Internet a “vasculhar” livros, catálogos e livrarias um pouco por todo o mundo. Foi desta forma que descobri a Marlborough Rare Books localizada no 144-146 New Bond Street, Londres W1S 2TR – Reino Unido. “Established in 1947, Marlborough Rare Books Ltd is a leading dealer in antiquarian books on Art, Architecture, Design, Fine Printing, Topography, especially works on London, Illustrated and Colour Plate books. We also stock early Optical Toys, Pre Cinema, Peepshows and Panoramas. 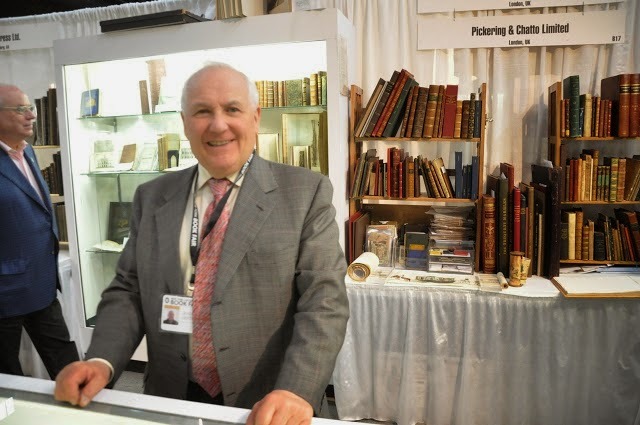 Mr. Jonathan Gesterner, a London based dealer of rare books (Marlborough Rare Books) who had some excellent paper tunnel type books (also called peepshows) and antique panoramas on display. Este ano fez-se representar em três importantes feiras de livro antigo: 47th CALIFORNIA INTERNATIONAL BOOKFAIR (Friday 7th - Sunday 9th February) – Pasadena Convention Exhibition Center; NEW YORK ANTIQUARIAN BOOK FAIR (Thursday 3rd - Sunday 6th April, 2014) – Park Avenue Armory e LONDON ANTIQUARIAN BOOKFAIR, OLYMPIA (Thursday 22nd - 24th May, 2014) Olympia, Kensington. Folio [440 × 310mm. ], lithograph title; 24 hand-coloured lithographs by Hullmandel; contemporary maroon, spine lettered in gilt, some minor scuffing; bookplate on front paste-down of Robert Lionel Foster; together with a loosely inserted lithograph of the artist. 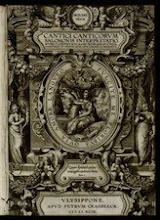 ‘According to Beraldi (XII, 232) this “very curious and rare album” appeared as a small quarto in London. These plates, which are large folio in size, may represent a French issue of the work, though the English edition had captions in French. … His designs are by no means mere costume plates. Instead they are animated and faithful studies of Parisian manners and customs in the years 1820’ (Ray, 124). Chalon was born in Geneva, but spent most of his working life in London, where he attended the Academy School and was elected R.A. in 1846. Beall F 47; Colas 588; Lipperheide Fd 15; Ray, The Art of the French Illustrated Book, 124. FIRST EDITION. 8vo, pp. viii,108; stitched as issued in original blue sugar paper wrappers; annotated in ink throughout presumably by the author. An interesting copy corrected and annotated by the author subsequent to an unforthcoming second edition. The work was the result of a request from M. de Muller, an advisor to Emperor Alexandre I of Russia to explore ways to improve the lot of Jews in Poland. Muller requested information of the status of Jews in various countries and for France he was put in touch with Coquebert de Montbret who was then attached to a Ministry of Foreign Affairs. Muller set fifteen questions for Coquebert de Montbret to answer. Some of the questions are straightforward statistical enquires on such topics as Jewish population, but others are more searching. Questions on whether Jews are divided into ‘castes’ what rights do they have in France, on the station of Jews in the colonies and under Napoleon what was their position in the various countries formally under Napoleons’ control. ‘Réponces’ are provided on schools and universities, and who were the leading ‘Israelites’ in France. Question fourteen asks about whether or not the publications of theology for rabbis are still in Hebrew, and here looks like a slight case of paranoia creeping in, is Hebrew printing in France under the supervision of the Minister and are they exported abroad? de Montbret answers all the question justly without any anti-Semitic comments or allusions. In many cases he has take particular care to give a clear and balanced view of the Jewish population of France. This probably encouraged him to publish the work and enlighten his fellow citizens. Several of the chapters are heavily annotated. mainly elucidating particular points or adding further information on the status of schools and universities, and Jews who have made and impact on French society. The eastern part of Poland was from 1815 ruled by the Russians as a Congress Kingdom which possessed a very liberal constitution. Emperor Alexander had become increasingly reactionary before his death in 1825 so any enlightenment gained from this enquiry came to nothing. Successive tsars reduced Polish freedoms and consequently that of the Jewish population was still further curtailed. OCLC lists copies at Yale, Harvard, Chicago and the Hebrew Union College in the USA; National library of Israel British Library; Bibliotheque Nationale, Strasbourg, Basel & Zurich. A complete set of this weekly satirical magazine driven by the rabidly anti-Dreyfus and anti-Jewish agenda. When, in 1894, the French authorities accused the Jewish army captain Alfred Dreyfus of espionage they could have had no inkling of the ferocity of the debate that would ensue. Exonerating evidence was discovered 2 years later but was fiercely suppressed by the army which claimed there were no grounds for a new trial. The resulting protests culminated with Zola’s ferocious attack on the French political establishment published as the famous open letter “J’Accuse” which appeared in the January 13th 1898 edition of the Parisian newspaper “L’Aurore”. Dreyfus was eventually pardoned and allowed to go free in 1899, but did not find his name fully cleared until 1906. Here, in marvellously vibrant style, both Jean Louis Forain (1852-1931) and Caran d’Ache (1858-1909) caricature the whole episode with a decidedly anti-Dreyfusian slant (the only text is that accompanying the illustrations as captions): a drowning Zola clings to the manuscript of ‘J’Accuse’, state secrets are sprinkled liberally over the Parisian skyline and the clerk in the “Alfred Dreyfus, Judas and Co.” bank accepts dubious deposits. A marvelously wry treatment of the events which divided France and upheld the rights of the individual. A better than average copy with just a few small marginal tears. FIRST EDITION. Six parts, oblong folio 500 × 300 mm. 30 lithograph plates parts 1-3 printed by J. Robertson, Edinburgh; parts 4-6 printed by Hullmandel; stitched as issued in original buff wrappers; preserved in a modern green cloth, folder, upper with gilt morocco label. Provenance: James Drummond M.P. (1767-1851) later 8th Viscount Strathallan and thence by decent through the Earls of Perth. A fine copy of D.O. Hill’s early lithographic views of Perthshire in their original condition, a work that presaged his connection with Robert Adamson in photography. ‘While still a teenager Hill applied the new technique of lithography to producing Thirty Sketches of Scenery in Perthshire, Drawn from Nature and on Stone, which was issued in six parts between 1821 and 1823 by his brother Alexander Hill, a publisher and printseller in Edinburgh. He went to study in Edinburgh at the Trustees’ Academy School of Design under Andrew Wilson, a landscape painter and wellknown art connoisseur. Although Hill inserted into his works depicting illustrating the manners of the Scottish peasantry, it was the subtle strength of his landscape paintings on which he rapidly built his reputation. These landscapes were admirably suited to engraving, the early nineteenth century’s most influential development in the distribution of images, and many of his paintings are best-known through the engravings made from them; he had more works engraved than any other Scottish artist.’ [ODNB]. This copy was originally owned by James Drummond M.P. for Perth, who may well have been instrumental in supporting the publication of Hill’s work. The Drummond’s as Earls of Perth, having sided with the Jacobites, lost their titles in 1716 but through the visitudes of time, marriage and influence eventually regained their hereditary privileges in 1853. James Andrew John Laurence Charles Drummond, 8th Viscount Strathallan (24 March 1767-14 May 1851), to give him his full title, was by an Act of Parliament in 1824, the first of the family to begin recovering the lost Perth titles. The plates include - [Part 1] Scone Palace, Bridge of Earn, Dunkeld, Dunblane Cathedral, Perth from Kinnoull Church - [Part 2] Fall on the Turret near Ochtertyre, Kenmore, Killin, View on the Tay, Elcho Castle, Kinnoull Cliff, Seggieden, Strathearn near Comrie - [Part 3] Taymouth Castle, Grandtully Castle, Killin from the Macnab’s Burying Ground, Perth from the South, Falls of Moness - [Part 4] Loch Tummel, Fall of Tummel, Upper Fall of Bruar, The Vale of Atholl from the Vale of Atholl Farm of St Columba, The Pass of Killiecrankie - [Part 5] Athol House, View on the Tummel with Faskally, Castle Campbell, Perth, seen from Barnhill, Vale of the Garry, Atholl, scene of the Battle of Killiecrankie - [Part 6] Ochtertyre, The River Tay from the Western Part of Kinnoull Cliff, Murthly Castle, Doune Castle, Craig Hall. FIRST EDITION. Large 8vo, pp. xxxvii  500, ; engraved double-page map and 31 engraved plates including an additional title, and 9 hand coloured aquatints illustrating 36 costumes; wood-engraved text illustration; contemporary blue pebble grain cloth, spine with label lettered in gilt. ‘In 1827 Kinsey made a tour in Portugal with the intention of making the country better known to the English people. From his journals and a series of letters written to his friend Thomas Haynes Bayly, as well as from historical and other sources, Kinsey published Portugal Illustrated (1828), an interesting account of the country, and well illustrated with engravings by G. Cooke and Skelton from drawings chiefly made by a companion during his tour. 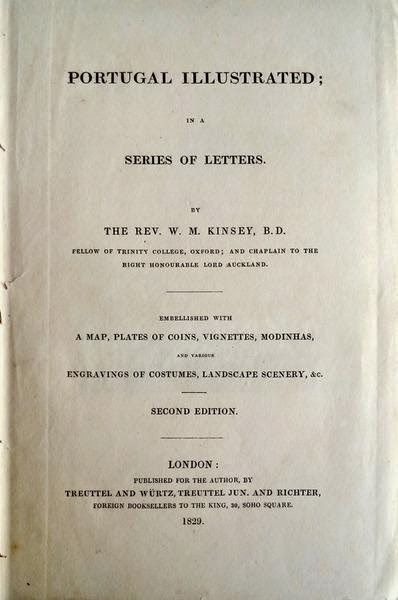 It was dedicated to Lord Auckland, to whom Kinsey was chaplain, and a second edition appeared in 1829’ (DNB). FIRST EDITION. Oblong folio, 280 × 365 mm; 12 hand coloured lithograph by Englemann and Langlumé. original printed upper wrapper, repaired, preserved in a modern cloth portfolio, upper cover with a red label lettered in gilt. This series of plates depict, with enormous scope for humour, the inconvenience of stagecoach travel. The first hurdle was the getting of a good seat but still being courteous to the ladies, other hazards Leprince depicted include that eternal fear of seeing the stagecoach recede from view just as you arrive to catch it, followed in turn by the all too familiar distress or interruptions of broken down vehicles, bad inns, travel sickness, getting stuck in mud, overturned carriages, problems with passports, being fleeced by highwaymen, then fleeced again by customs and the relief of disembarkation. Beraldi: Les Graveurs du XIXe siècle (Paris, 1885–92) vol ix p. 147 No. 6; Lipperheide 3658. 3 volumes uniformly bound in contemporary red crushed morocco, single gilt fillet and greek key roll-tooled borders, spines ruled, lettered and gilt in compartments, all edges gilt, housed in a matching red morocco carrying case in the form of a book, spine richly decorated in gilt and with owls in the compartments. A superb travelling set, in unusually fine condition, containing three small volumes: A Compendious Geographical and Historical Grammar, London, W. Peacock, 1795 (first edition, written edited John Mair; 13 folding engraved maps, hand-coloured in outline), the second, corrected edition of Stephen Jones’ A New Biographical Dictionary, London, Peacock et al., 1796, and, based on Samuel Johnson, A Dictionary of the English Language … The Fourth Edition., London, Peacock, 1794. - All volumes remarkably clean and fresh; the box minimally rubbed. Com estes apontamentos sobre algumas obras, deixo o meu convite para, num momento de maior lazer, fazerem uma “visita” mais ou menos demorada a esta livraria, pois que as suas temáticas são bem interessantes e diversificadas. KINSEY, Rev. William Morgan – PORTUGAL ILLUSTRATED IN A SERIES OF LETTERS. 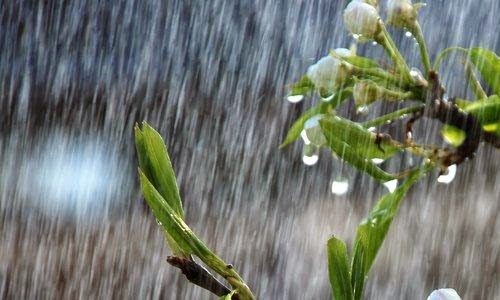 BY THE … . EMBELLISHED WITH A MAP, PLATES OF COINS, VIGNETTES, MODINHAS, AND VARIOUS ENGRAIVINGS OF COSTUMES, LANDSCAPE SCENERY, &c. SECOND EDITION. LONDON: PUBLISHED FOR THE AUTHOR, BY TREUTTEL AND WÜRTZ, TREUTEL JUN. AND RICHTER. [PRINTED BY A. J. VALPY] 1829. In 4.º de 26x17,5 cm. Com xxxviii, [ii], 564 pags.